Professor Lip, MD, is Professor of Cardiovascular Medicine at the University of Birmingham and is based in a busy city centre teaching hospital. He is also Adjunct Professor of Cardiovascular Sciences, Aalborg University, Denmark. Half of his time is spent as a clinical cardiologist, and he practises the full range of cardiovascular medicine, including outpatient clinics (leading large atrial fibrillation and hypertension specialist services), interventional cardiology and coronary care unit. Professor Lip has had a major interest into the epidemiology of atrial fibrillation (AF), as well as the pathophysiology of thromboembolism in this arrhythmia. Furthermore, he has been researching stroke and bleeding risk factors, and improvements in clinical risk stratification. The CHA2DS2-VASc and HAS-BLED scores - for assessing stroke and bleeding risk, respectively – were first proposed and independently validated following his research, and are now incorporated into international guidelines. He was selected to the Thomson Reuters Science Watch list of ‘World’s Most Influential Scientific Minds 2014’, a ranking of today’s top 17 scholars who have published the greatest number of hot papers, ranked in the top 0.1% by citations, [issued June 2014; see website: http://bit.ly/1sx4uyM]. 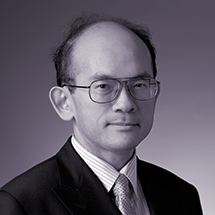 In 2014, Professor Lip was ranked by Expertscape as one of the world's leading experts in the understanding and treatment of AF [http://bit.ly/2apB1Dt]. Professor Lip is a board member of the European Heart Rhythm Association (EHRA) and is Chairman of its scientific documents committee (2013-). Professor Lip was on the writing committee for various international guidelines, including the American College of Chest Physicians (ACCP) Antithrombotic Therapy Guidelines for Atrial Fibrillation, as well as various guidelines and/or position statements from the European Society of Cardiology (ESC) or EHRA. Specifically, he was also on the writing committees of the 2010 ESC Guidelines on Atrial Fibrillation, the 2012 ESC Focused Update Guidelines on Atrial Fibrillation, the 2012 ESC Guidelines on Heart Failure, and the 2014 NICE guidelines on AF. He was Deputy Editor (“content expert”) for the 9th ACCP guidelines on antithrombotic therapy for AF (2012). Professor Lip has acted as senior/section editor for major international textbooks and at senior editorial level for major international journals, including Thrombosis & Haemostasis (Editor-in-Chief, Clinical Studies); Europace (Associate Editor); and Circulation (Guest Editor).